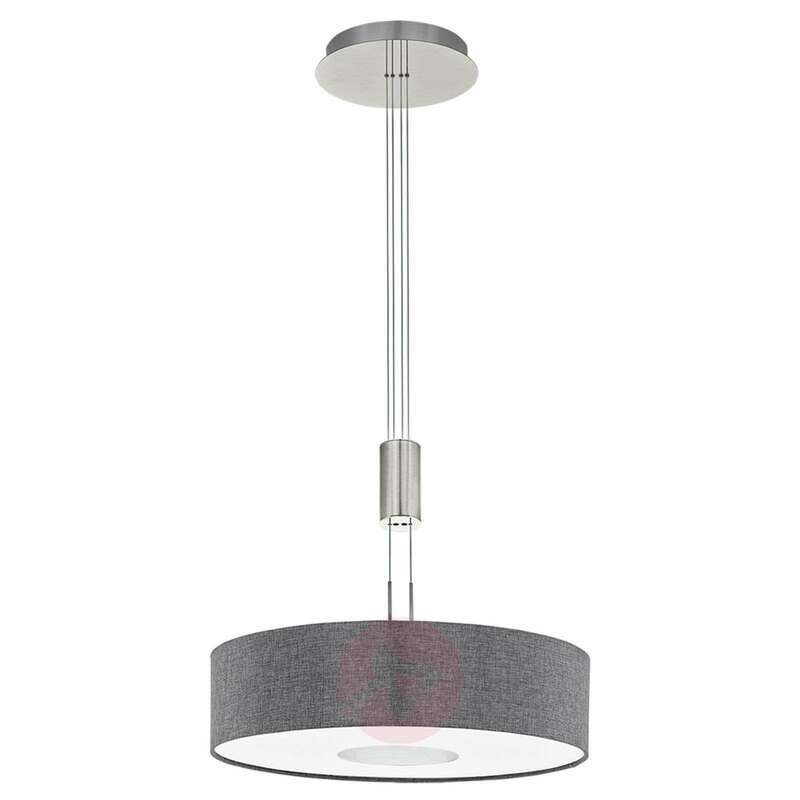 This LED pendant light does not just impress with its adjustable height; but also with its elegant appearance. The latter is created thanks to the combination of a matt nickel ceiling canopy and suspension cable with the grey-white fabric lampshade. 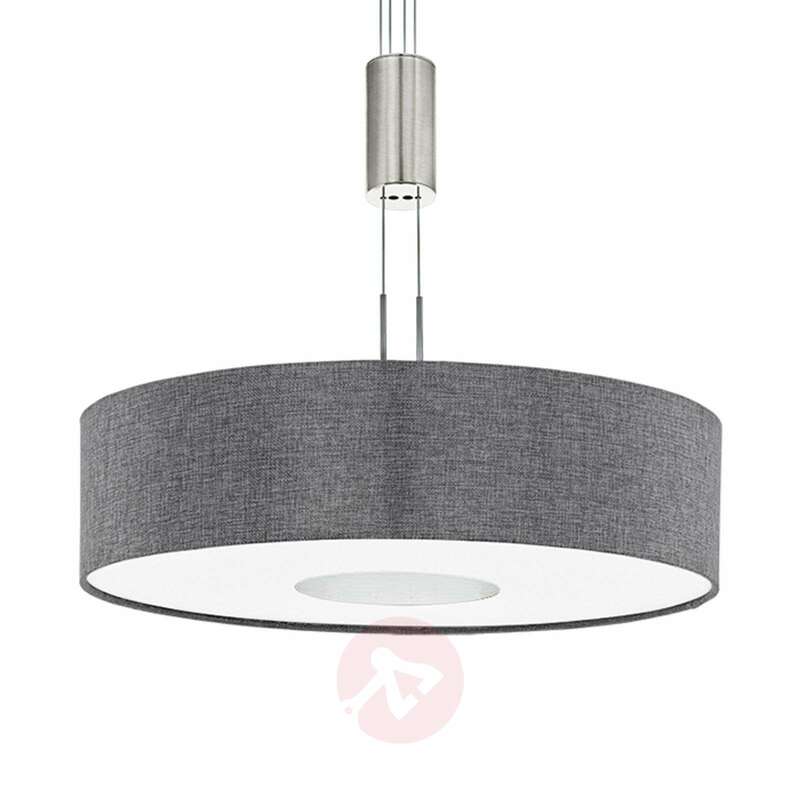 The height of the lampshade can be adjusted between 94 cm and 140 cm using the pull weight, so that the light can be set at table height or modified to suit the current situation in an instant. The white fabric, which is found on the lower part of the fabric lampshade, softly filters the LED lighting to help prevent glare. The result is very pleasant lighting for the room in question.